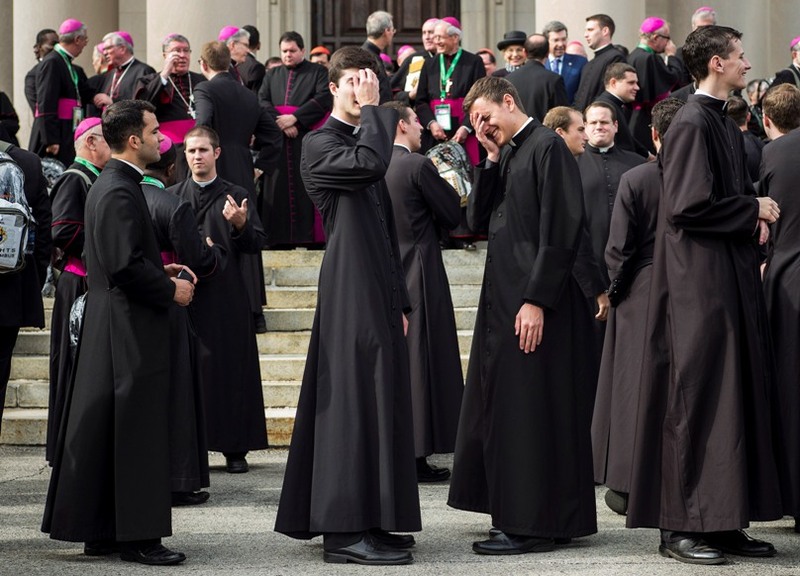 Pope Francis told a group of seminarians that seeking a so-called “normal” life in the priesthood would turn them into pastors who were “mediocre or worse”. A priest who is tempted to live the way most people live today “begins to settle for getting some attention, judges his ministry on the basis of his achievements and eases into seeking what he likes – becoming lukewarm and without any real concern for others”, he said. The pope’s remarks came during an audience on 25 January with seminarians and staff of Rome’s Sts Ambrose and Charles Pontifical Seminary, which trains priests for Italy’s Lombardy region. Cardinal Angelo Scola of Milan, metropolitan of Lombardy, also attended the private audience. The pope told the men that preparing for the priesthood in Rome wasn’t just about completing their studies, but was also a time for “true and genuine priestly formation” that included deep inner conversion. By following the Holy Spirit, they would be the future of the Church “according to God’s heart”, and according to the demands of the Gospel, he said, “not according to individual preferences or current trends”. St Charles Borromeo, he said, saw his ministry as a continual journey of conversion. He wanted priests to be servants of God and fathers for the people, especially the poor. Priests need to have an active, personal relationship with God and live in constant dialogue with his word “or, better, with God who speaks”, he said. This dialogue entails taking what is learned during their studies and applying it when speaking to God during prayer and to others, he said, urging the seminarians not to pigeonhole their pursuits but to consider prayer, culture and pastoral ministry as “cornerstones of one building”. Evangelisation today requires that priests live and speak simply and be preachers not “of complex doctrine, but proclaimers of Christ”.